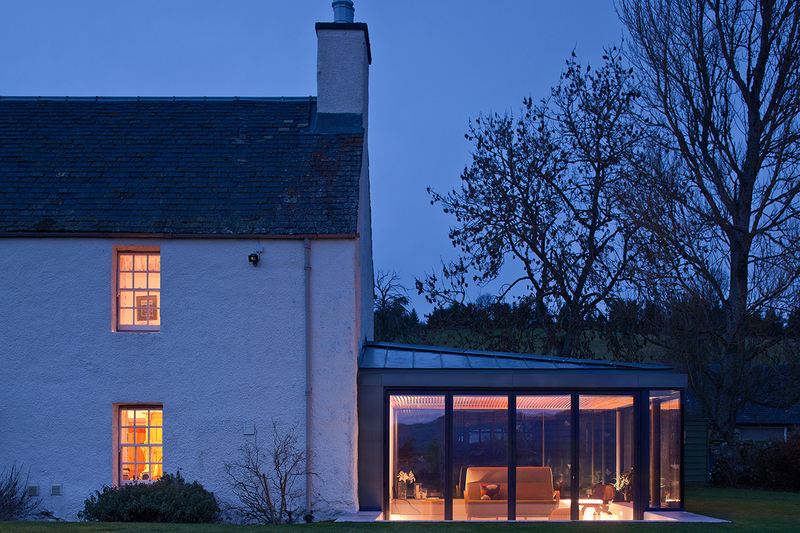 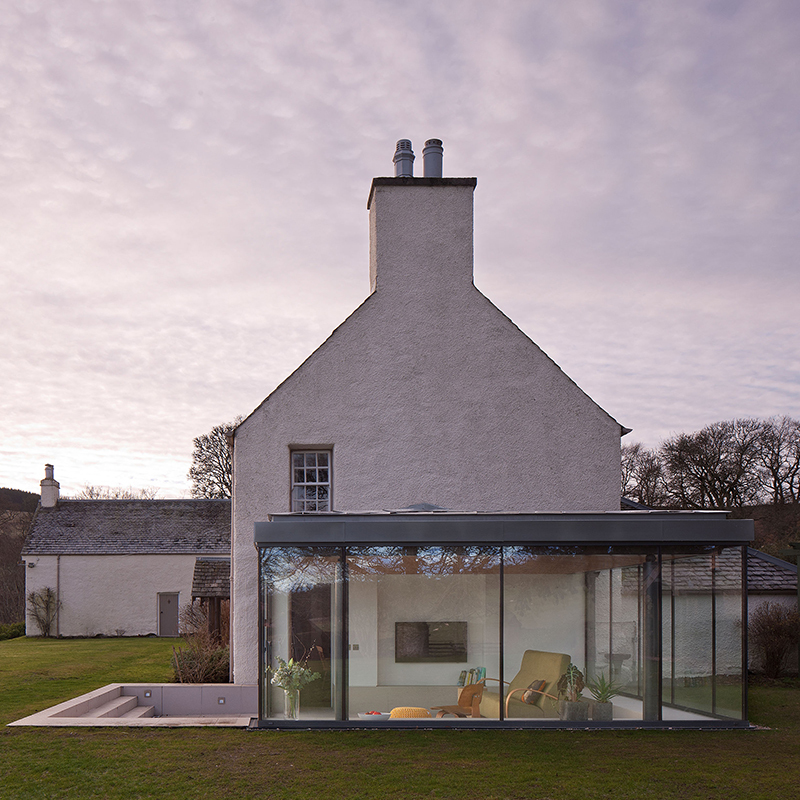 The architect’s vision involved adding a modern side extension to this listed farmhouse dating back to the 18th Century located near Aberfeldy. 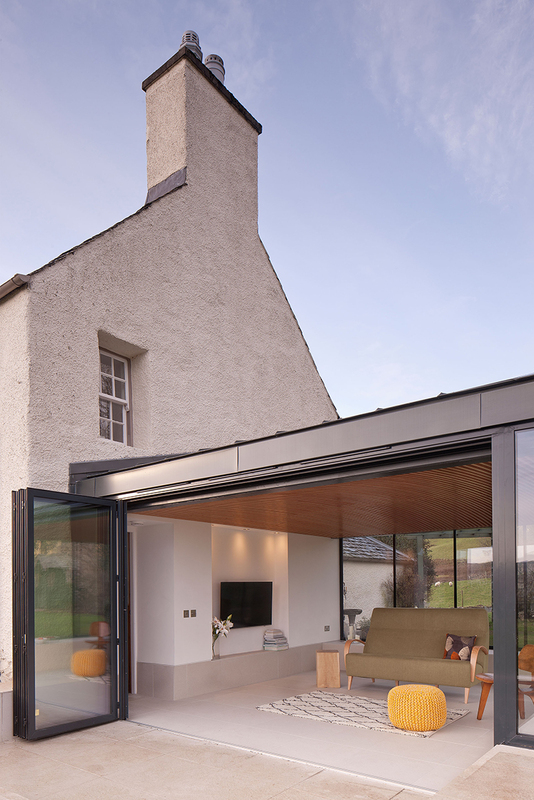 The new structure is sunk into the garden with retaining walls to the perimeter of the extension. 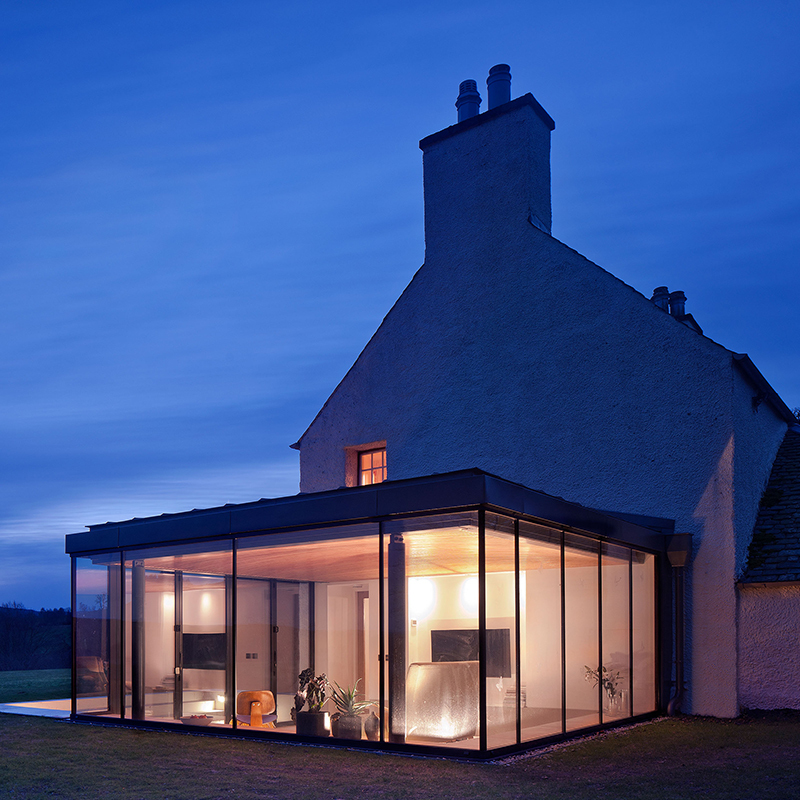 Steel posts with RHS ring beams form the superstructure offering stability to the extension and supporting the roof and head of the glazing. 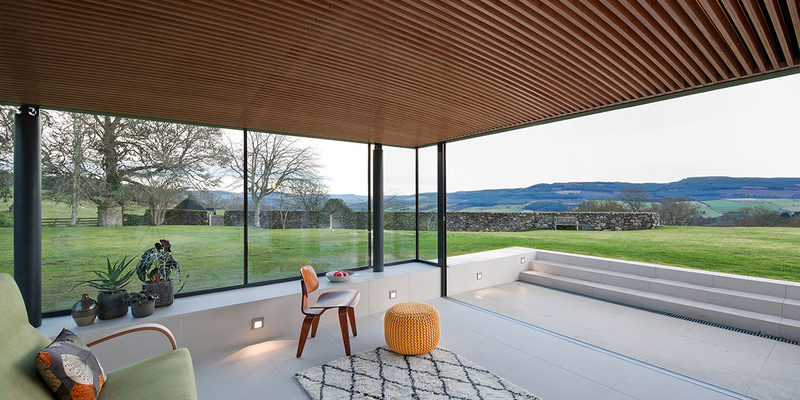 Whilst the roof is traditionally built in timber a feature drop ceiling has been created from ply CNC cut to form a shallow domed ceiling. 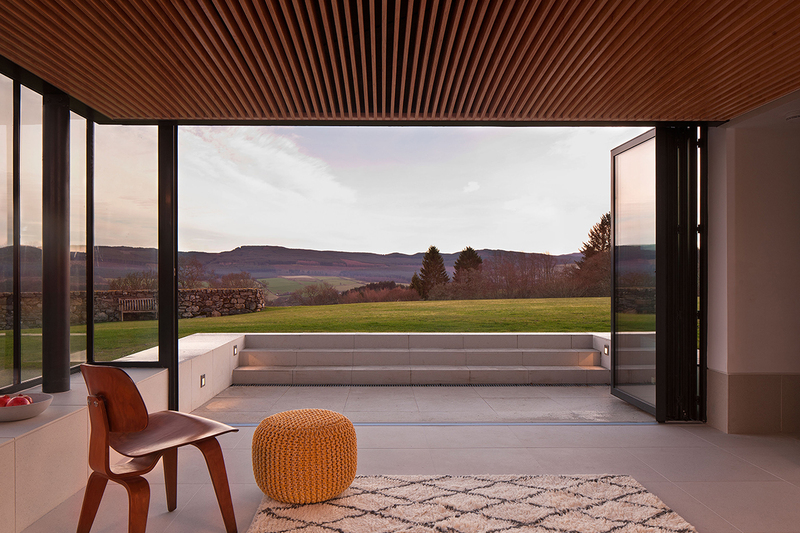 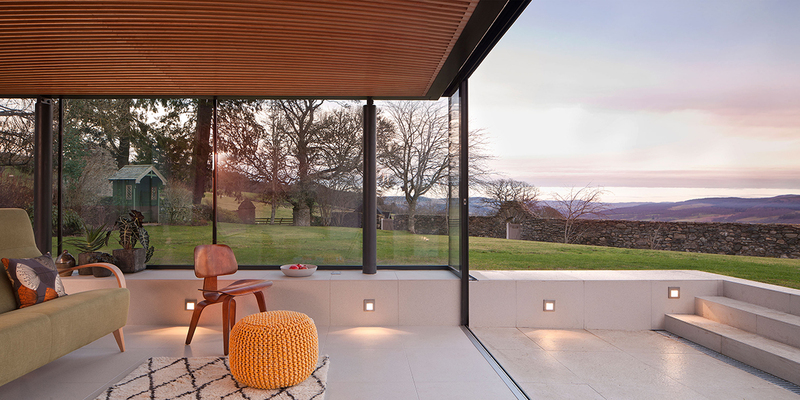 Glazing to all elevations saturates the room in light during the day providing breath taking views to the Tay Valley below.